Nigeria and Kenya are actively tackling their high youth unemployment rate by ‘equipping children with entrepreneurial skills while they’re still at school’. The African continent simply doesn’t have the jobs to employ everyone leaving school; so equipping students with the ‘essential foundational knowledge and skills such as emotional intelligence and risk taking’ will help them to create entrepreneurial opportunities. In Nigeria and Kenya, entrepreneurship has long been a part of school vocational and technology classes. For some years now teachers in these subjects have been trained in entrepreneurship education. They impart the knowledge and support the practical skills that make starting their own business a real possibility for students. This thinking echoes some of the thinking in Australian education that spells out the need for an innovative and entrepreneurial generation of young people to meet the challenges of the future workforce. It’s the thinking behind the recent introduction of entrepreneurial learning strategies to curriculums throughout Australia. We don’t have a consistent approach in this country, but it’s a start. There are some similarities between Australia, Nigeria and Kenya in climate, landscape and a wealth of natural resources contributing to the workforce and the economy. There are similar challenges with youth unemployment, and schools are preparing young people with a mindset of entrepreneurial thinking; however the context of student lives and the challenges they face are for a good part, vastly different. Employment opportunities for African students are impeded by social inequality, extreme poverty and limited access to clean water, healthcare and education. Starting their own business is the only chance many will have of making a living and making their way out of poverty. By comparison, young Australians have work and career opportunities that young Africans can only dream of. But it doesn’t mean we can’t take a leaf out of Nigeria and Kenya’s book, especially with our own youth unemployment rate of 11.10% (February 2019), rising to over 25% in some regional areas. Then there is the equal challenge of record numbers of youth underemployment and a workforce that is constantly in flux. Training Australian teachers on the subject of entrepreneurship, and teaching it explicitly within subjects on the curriculum will allow Australian students to apply what they have learnt, and generate income from their own business. It will save some from unemployment, and may even generate employment. Young business entrepreneurs in classrooms throughout Nigeria and Kenya are finding solutions to the challenges they face in their daily lives and are making a positive impact on their community. Australian students are less constrained by impoverishment and freer to follow their own interests. With the educational infrastructure, access to diverse technologies and government and industry programs designed to support youth startups, they have so many more business opportunities. What they make of these opportunities will depend on their circumstance, motivation, competency and the attractiveness of their business idea to the market. Ok, learning to start a business in school won’t end unemployment, but it’s interesting to note that both Nigeria and Kenya fared better in assisting young people into self-employment than African nations without explicit entrepreneurship content on the curriculum. It will be interesting to see the statistics on Australian school leavers in a few years time. When the foundational skills and attitudes of entrepreneurial thinking are nurtured throughout school, young people enter the workforce better equipped to create opportunities for themselves, and with more confidence to do so. 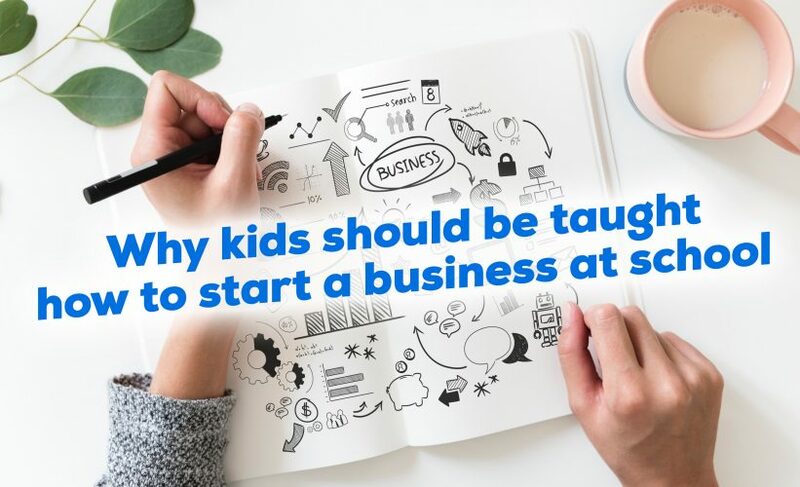 What business ideas are bubbling away in Australian classrooms, and what will the budding entrepreneurs make of the opportunities at their fingertips? The ideal programs for preparing your students can all be found in the Work-Ready program with modules on ENTREPRENEURSHIP, STARTING A SMALL BUSINESS, SELF-EMPLOYMENT and MONEY. And for more comprehensive resources check out BizReady.